Now in its 17th year – DeCare Sport a Smile 5km fun run/walk will take place this year on Wednesday, 4th July @6.30pm followed by a BBQ! Is your company up for the challenge? 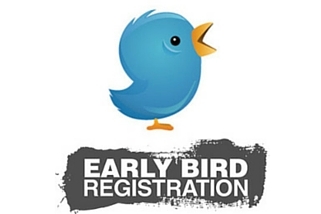 Online Registration for individuals is only €10 online, €15 on the day. While for a company team of 4 it's €30 online, €40 on the day. All proceeds go to DeCare Dental charity of the year - ChildLine. Register Online Now! Chip timed and part of the Mayo AC 2018 Vodafone C&C Cellular Club League. New technical t-shirts available on a first come, first serve basis! DeCare Dental is a specialist dental insurance and oral health company with over 10 years’ experience in Ireland. The company is headquartered in Claremorris, Mayo and employs over 100 people in Mayo and Dublin. DeCare is a subsidiary of DeCare Dental LLC, a global benefits management group with over 40 years of proven success and more than 9 million customers worldwide. In Ireland, DeCare combines this global strength and experience with local product, service and oral health expertise, assuring members of a friendly, professional and dedicated service at all times.